But I am going to try to give you some alternatives. You might not be able to get off the pain pills altogether but these alternatives can help reduce that need. The verdict is in on Glucosamine and Chondroitin. Here is the surprise: Glucosamine does nothing, in reality. Nothing. It is not effective at all in rebuilding cartiledge or relieving stiffness. However, on the other hand, Chondroitin is somewhat effective. It DOES seem to help rebuild cartiledge and regular use DOES seem to reduce stiffness. So get a Chondroitin supplment and ditch the Glucosamine. Save some money, anyways. Also, it is known that certain herbal and natural supplements can help control arthritis pain and inflammation. While more research is needed on all forms of arthritis pain relief, early studies of these alternatives are promising. After all, many have been used for centuries in cultures around the world. I want to share them with you in the hopes that you will try them, in small amounts over time, to see how much of them you might need to help your condition. Continue with the Chondroitin and use occasional NSAIDs, because I don’t think they can be ditched altogether, but if you include these herbs & supplements you may be able to cut way back on all of that. It has been proven that deficiency in Boron causes great instances of Arthritis. Doctors do not know how it works or why but the Rheumatoid Disease Foundation recommends 3 mg of Boron a day. You can get Boron in pill or powder form. The seed from this plant contains an essential fatty acid known as gamma-linolenic acid (GLA). This natural fatty acid has a positive effect on inflammation. This oil may significantly reduce arthritis pain, especially in rheumatoid arthritis. One study showed that patients taking 12 capsules a day (540 mg of GLA) were then able to reduce the number of NSAIDs they had been taking. Evening Primrose Oil can be expensive and therefor prohibitive for long term use so consider using other oils that have the similar properties. Borage seed oil, Blackcurrent seed oil, Fish oils, Flaxseed and Nut oils and Safflower oil, specifically, will all cause similar reductions in pain and inflammation. This combination, taking together, has been proven to help osteoarthritis. Vitamin C helps the body make collagen, an important component of joints and Vitamin D supports bone health. Take 200 mg of Vitamin C every day with a supplement of 500 IU of Vitamin D.
Derived from an African desert plant, devil’s claw has been used for centuries to treat pain. In Africa, it is a traditional treatment for arthritis, specifically. The tubers contain a group of chemicals called iridoids that have anti inflammatory properties. A few scientific studies show that it can relieve inflammation, stiffness and pain caused by osteoarthritis. One such study showed that people with arthritis improved greatly when 500mg of devils claw three times a day (1500 mg a day). There have been other studies, though, that do not prove this at all and have shown that devils claw is not helpful at all. It will be up to you to try it and see if it works for you. A typical dosage is about 400 mg to 500 mg three times a day. 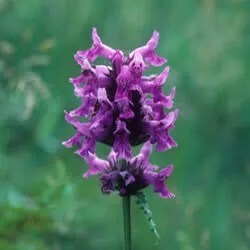 Devil’s claw has proven to be more effective when taken with NSAIDs and it helps reduce the amount of NSAIDs you take. DO NOT TAKE THIS HERB if you have hypoglycemia, diabetes treated with insulin, chronic headaches or irritable bowel syndrome. Side effects can include diarrhea, headache, and ringing in the ears. It also lowers blood sugar. This is a common Ayurvedic remedy for arthritis. Studies in India have shown it to be effective and the herb is marketed there as a remedy. Also known as “Indian frankincense”, Boswella comes from the bark of the Boswellia tree, which grows exclusively in India. This herb is known to help reduce inflammation and pain. It can be combined with turmeric to improve it’s effectiveness. A typical dose would be 300 mg to 400 mg three times per day. Select capsules or pills with 60 per cent boswellic acids. Bromelain is a mixture of enzymes found in pineapples. These enzymes are known to reduce inflammation and is used by many people as a treatment for arthritis. In a study of 103 patients with knee arthritis, one group took bromelain for six weeks and the other group took diclofenac, a nonsteroidal anti-inflammatory (NSAID) used to treat arthritis. The study showed that bromelain is just as effective as the NSAID in treating osteoarthritis pain. This supplement will also help rheumatoid arthritis. 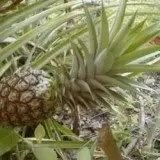 Bromelain is safe as it gets. No side effects, no known negative reactions at all. It is a great deal safer than the NSAIDs that are prescribed because these drugs can cause ulcers, heart attacks, strokes, sudden death. A typical dose of bromelain would be 250- 750mg capsules two or three times daily. Doctors routinely prescribe high doses of Vitamin B6 for carpal tunnel syndrome and inflammed nerves. This vitamin is known for reducing inflammation and in that fashion can be very useful for the inflammation caused by arthritis. Especially in those arthritic conditions that also affect the muscles and the nerves. Try dosing with 10 to 20 mg of B6 a day to help reduce inflammation. DO NOT TAKE MORE THAN 30mg a day or you risk poisoning. Too much B6 can cause the same inflammation smaller doses will help control. A good rule of thumb is 3 10mg tablets a day, each taken with meals. Cayenne pepper contains capsaicin, which the University of Maryland Medical Center (UMMC) confirms has powerful pain-relieving properties and is used in various arthritis pain relieving rubs. Dr. Christopher makes a whole selection of rubs made with this pepper. It is a fact that capsaicin reduces the chemical P, which carries pain messages to the brain. It is also often used to relieve pain from fibromyalgia, as well. Do not use the rubs all the time and try not to overdo it. When I had a subluxation in my neck I used a whole tube in less than a week and my neck looked like a tomato. It burned like hell for a long time. So be careful about how much you use; test it in small amounts until you have found the sweet spot. It may take three to four days to take full effect, so be patient. Recommended dose: UMMC suggests using creams that contain 0.025% to 0.075% capsaicin and apply three to four times per day. This root has been used for generations in India as specific treatment for arthritis. Recently, a study cited in the British Journal of Pharmacology stated that the active compounds in ginger called gingerols are effective in fighting inflammation and arthritis. This happens because gingerols inhibit the production of prostaglandins and does so more effectively than the popular arthritis drug, Indomethicin. In another study, arthritis patients who used ginger experienced less swelling, less pain and required fewer pain relievers than patients who didn’t take ginger. But you should NOT USE ginger if you have diabetes, heart disease or bleeding problems. If you are healthy enough to use ginger, you can start by brewing ginger tea at home from the fresh root or from ginger powder. This is a good introduction to the spice and how well you will tolerate it. Ginger has other added benefits as well, being good for calming stomach problems such as nausea and motion sickness and for controlling dizziness brought on my movement. It is an effective motion sickness inhibitor and can be used on cruises and flights. You can drink it, eat it, take it with a spoon or in a pill. The choice is yours. To get standardized amounts of the gingerols, however, opt for supplements. Typical dosage is about 500- 600mg capsules per day, 1/2 – 1 tsp of fresh ground root per day or 6oz cups of ginger tea taken at 3 intervals during the day. Some people experience heartburn when taking ginger so try taking it with food or with a peppermint supplement. Although everyone thinks this is a no brainer, in fact it’s not. Although calcium is an important component of bone, not everyone with arthritis is deficient in calcium. You should only use this is a supplement if you are using steroids to control pain. Steroids will cause bone loss over time. If you do take steroids for pain, then consider using 1,000 mg a day of Calcium to make up the difference. Like ginger, turmeric contains an ingredient that inhibits the production of prostaglandins. Prostaglandins contribute to inflammation and drugs used to inhibit these compounds include NSAIDs, Steroids and COX-2 Inhibitors. With the dangers of heart disease and sudden death that are associated with these drugs, alternatives may be desirable. Turmeric is a viable alternative. It’s active ingredient, curcumin, has an anti-inflammatory effect that has been proven in various animal studies. Turmeric has the advantage of being either taken with food or applied directly to the joints in a homemade rub. A typical dosage would be 250- 500mg of standardized capsules up to three times daily but you can also add 1 tsp per day to your food or use 10-30 drops of a tincture up to 3 times a day. See my other post: Herbal Remedies 2 , to see how to make tinctures and rubs. Other wild herbs that have been shown to have anti-inflammatory properties include Angelica, Barberry (and Oregon Grape), Black Cohosh, Black Haw, Boneset, Chapparel, Coriander, Echinacea, Fenugreek, Horsetail, Juniper, Licorice, Meadowsweet and Papaya. All of these herbs and plants have been the subject of studies in the U.S., both on animals and humans. If you locate standardized extracts of these herbs and would like to try it, start with the recommended dosages and read the labels carefully. I recommend organic herbs packaged under well known brand names. Common folk remedies for arthritis include infusions made from valerian and chickweed which are drank like tea. Feverfew eaten in a sandwich, which is also a traditional treatment for headache. A useful and very relieving treatment involves essential oils used in massage oils. Massage oils made with oil of rosemary and peppermint are very effective. See my post, How to do Aromatherapy Massage on making your own massage oils. Another great idea is a wintergreen or arnica ointment which is made in the same way as the poultices. See my post, Herbal Remedies for poultice and ointment recipes. PLEASE NOTE: Inform yourself about the supplements you choose to take and be aware of drug interactions and side effects. Even spices and herbs have side effects, especially when taken in high doses. Always choose well known brands and ask other people who have used certain brands for more information. Start with one pill at a time or an even smaller does to see how it effects you. You can be allergic to anything and sensitivities can arise suddenly. Step up doses in small increments until you discover the one that works for you. Never use more than the recommended highest dose. I have a friend who became convinced that cinnamon would help her lose weight and desperate to rid herself of belly fat, she took 4 times the recommended dosage. Needless to say, she is lucky to be alive. Ending up stuck with a huge hospital bill defeats the purpose of saving money and taking control of your own health treatments. So be careful! Thanks for the great post. I especially appreciated the info on ginger. Yes, I also use thesenatural remedies to remove my pain attack. As alternative to receipts you give, you can try ready Nature Medic Arthritis cream with these ingredients.